Results: 1 to 10 of a total of 24 results. I'm a nice guy, just looking around. Does me4u2see63 belong in this group? Does idaholadydancer belong in this group? Does hakka belong in this group? Does jstbkzz belong in this group? Where are the men in Idaho? Where are the men in Idaho? I am positive, open minded and hard working. I love to laugh, chit chat and enjoy life. 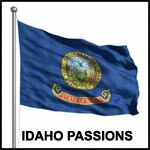 I am an Idaho transplant, moved here from Las Vegas 33 years ago and I call it home. Looking for a date/companion/relationship with a man that knows the meaning of respect, honesty and life. So many things to do in Idaho that are more fun with someone. Does idahohoney belong in this group?